SAN DIEGO, CA (June 22, 2018) – IDW Publishing is proud to launch G.I. 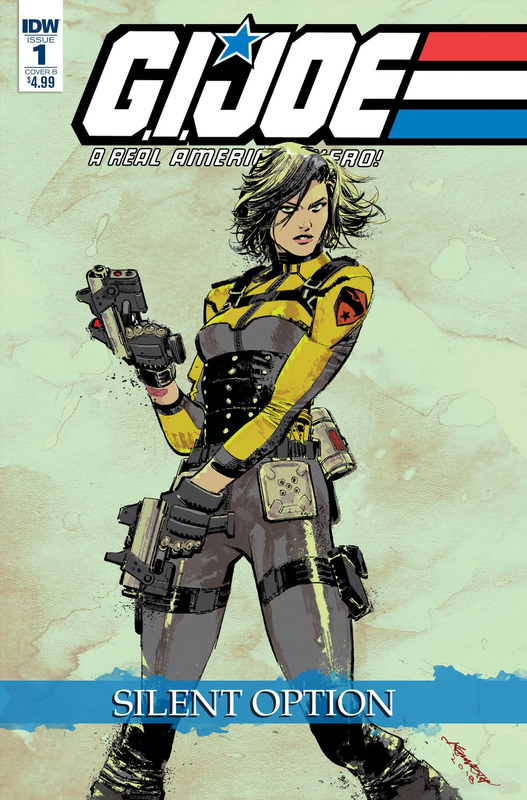 Joe: A Real American Hero - Silent Option, a four-part miniseries that spotlights the breakout character of their “Dawn of the Arashikage” story arc: Dawn Moreno, the all-new Snake Eyes! The first monthly issue is slated for release this coming September. Each oversized issue of Silent Option features ​ a full story by the superstar creative team of longtime G.I. 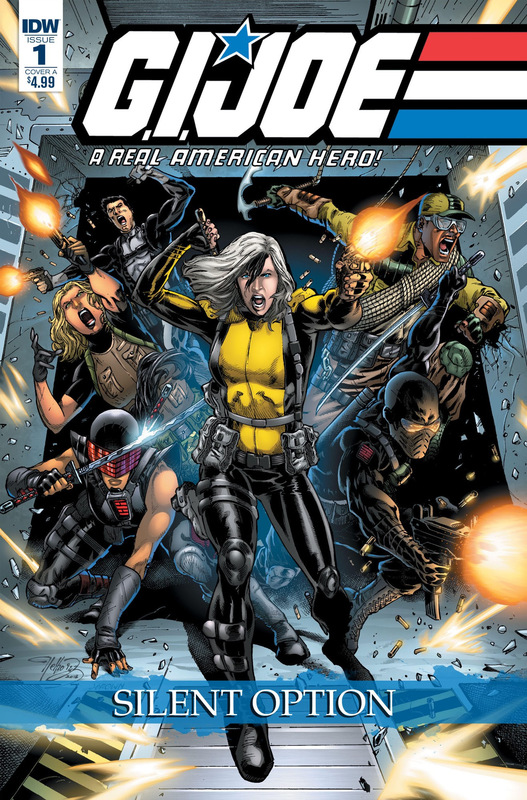 Joe scribe Larry Hama and artist Netho Diaz (Aquaman), plus a four-page backup story entitled “Codename: Helix” by Ryan Ferrier (G.I. Joe vs. Six Million Dollar Man) and Kenneth Loh (KISS). For more information on purchasing copies of G.I. Joe: A Real American Hero - Silent Option, contact your local comic shop or visit www.comicshoplocator.com to find a store near you. Larry Hama is a writer/illustrator who has worked on Avengers, The Nam, Conan, Batman, Wonder Woman, X-Men, Spider-Man, Daredevil, Wolverine, and dozens more. He is best known as the writer of Marvel’s G.I. Joe comics in the 1980s. Recent script credits include Batman: Shadow of the Bat, Wonder Woman, G.I. Joe: Origins and G.I. Joe: A Real American Hero for IDW, and Call of Duty: Black Ops for Dark Horse. His illustrations have appeared in National Lampoon, Esquire, New York, and Rolling Stone.